All across America, boys and their fathers are building a Pinewood Derby Car for the Cub Scouts. My son is no different. We actually just put the finishing touches on building a Pinewood Derby Car. And, last week when he was racing it at our local Pack meeting, I got to thinking about all of the lessons that you could take away from building a Pinewood Derby Car and apply to the world of investing. I was blown away by looking at some of the other Pinewood Derby cars that were at my son’s race that weren’t optimized to be as fast as possible. It only took me a little time and effort to Google and find where to put the weights on the Pinewood Derby car to get it to be the fastest car possible. The same thing is true with investing A little research can go a long way. 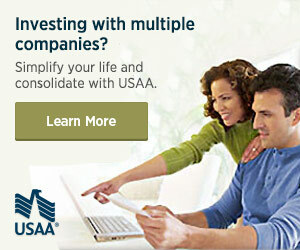 There are so many resources available to investors that can help you find great stocks or mutual funds to invest in. You should start with site like Google Finance or Yahoo Finance when you are researching investments. Wow! I had no idea how hard building a winning Pinewood Derby car would be. There was a lot of sanding, painting, cutting, chiseling, and the like that had to go on to make that Pinewood Derby car a winner. It was worth it to bond with my son, but man wow! It is hard for this dad to take a step back and hand the saw over to my son and let him take the reins building his Pinewood Derby car. But, it was and should always be a team event between the boy and his parent. Not only are you teaching him and providing him with a sense of accomplishment, you are also there as a backstop and a somewhat subject matter expert when he really needs help. Too many people try to go it alone without the help of a financial planner. Either people think that they do not need help, can do it themselves, or can’t afford to hire a financial planner. These arguments, of course, are extremely flawed. Everyone could benefit from a little help from teammates now and again, and help from a financial planner is no different. When my son and I got to the big Pinewood Derby race on race day, I was blown away by how many cars and subsequently fathers were not prepared to race. Several of the cars were either overweight or significantly underweight despite the race committee sending out the rules weeks in advance to all of the parents. There were frantic parents trying to carve bits of wood out of the car or add ugly weights to the undercarriage in the attempt to compete. If they had just taken the time to read the rules and prepare a little beforehand, they would have had much better results on race day. The same, of course, is true for investing. You need to be prepared before you take the plunge into investing. If you do not understand something, then you need to study it. For example, I was trying to figure out the difference between market and limit orders a few years ago when I started investing in individual stocks. I kept reading that investors need to use limit orders instead of market orders, but I didn’t know why. So, I hit the books to learn about the differences. Being prepared has helped me as an investor immensely. Like any hobby, building a Pinewood Derby car can quickly get expensive. There are an enormous amount of add-ons that you can purchase to make your car better, faster, cooler, flashier, and the like. Many of these additional costs will have no impact on how fast the car will make it across the finish line. There are times when we look for an edge when investing as well and reach into our pockets to spend money either on fees, advice, self-help books, and a host of other potential drains on our wallets. If you are not careful, you can lose sight of the finish line whether you are racing a Pinewood Derby car or racing towards your retirement. While it is not a waste to get help from a financial planner, you must also monitor your costs carefully and put the brakes on high-cost spending in both racing and investing. It never hurts to have a little bit of luck by your side when you are Pinewood Derby racing just like when you are investing. While like playing poker, car racing, or investing, they are all skills and it is not luck. Luck does increase the intensity of your victory or downfall. So, while it may not be the most important thing, having a little bit of luck on your side in any endeavor cannot always be counted out. Have you ever helped your son in building a Pinewood Derby Car for Cub Scouts or Boy Scouts? What do you think? Are there some financial lessons that I missed? I’d love to hear your thoughts in the comment section below. Oh Wow am I laughing my ### off! Talk about a trip down memory lane. My dad (a WWII fighter pilot) built derby cars with me and my brothers for years (back in those days girls couldn’t compete). We won those races everytime ’cause he actually knew what he was doing and trust me, we were not flashy – we just won. (And this was 40 years ago – some traditions just simply refuse to die). Enjoy. You are creating memories that will last more than one lifetime! p.s. Thank you for your service! I did this with my son, great memories.